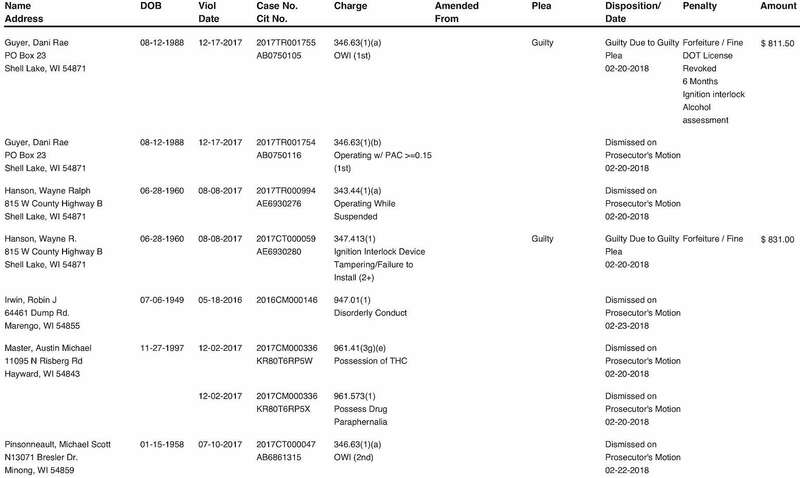 DrydenWire.com has been informed by the Washburn County Clerk of Courts office the following Criminal & Traffic Disposition Report for Washburn County. This is the 1st page of the report - Click anywhere on the page below to view/download all pages in high resolution (PDF). Click HERE to view/download all of the pages in this report.